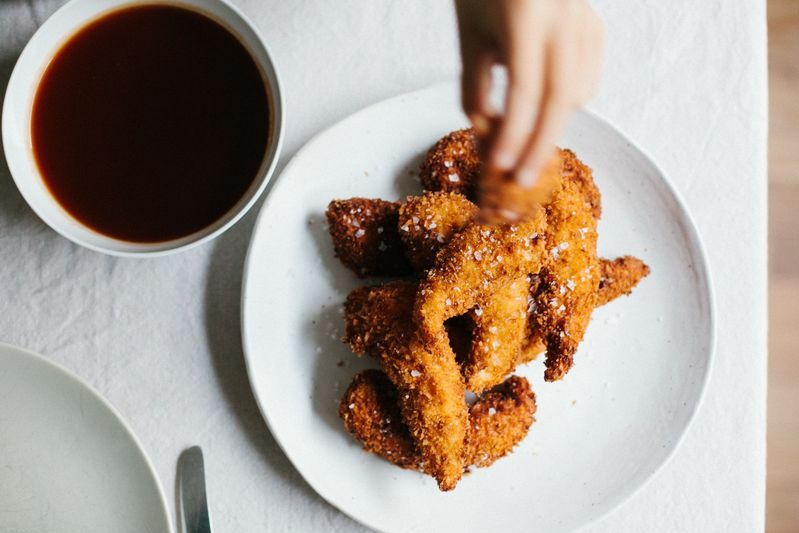 We're republishing this article, originally posted in October 2015, because chicken tenders sound like a pretty good Labor Day Dinner. To you, too? There are dinners made to push my kids’ little evolving taste buds—ones where I encourage ruffled greens and spices that originate from far-off lands. Then there are others I make for comfort—the sort that I hope they will recall and crave long after they’ve left the house. And then there are the ones that I just want them to like: simple, classic and unmistakably kid-friendly. 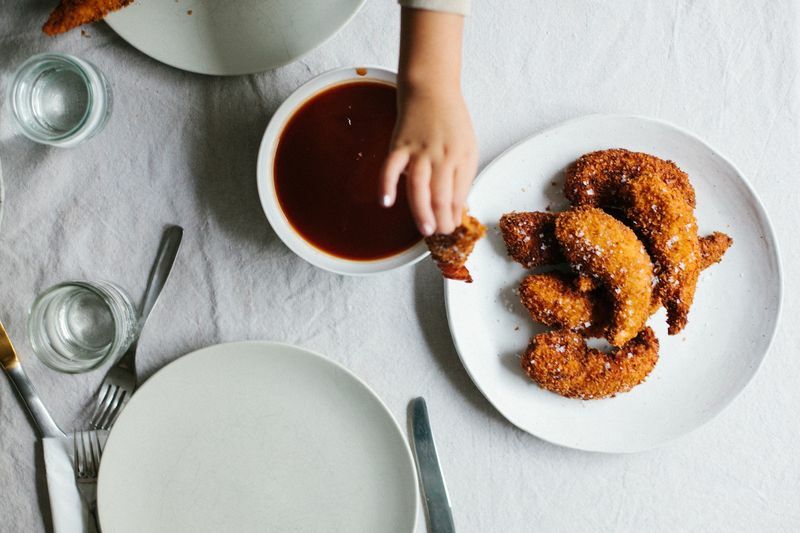 But how can I make the ultimate kid food—chicken tenders—into a dinner that will excite both my children and me and my husband? 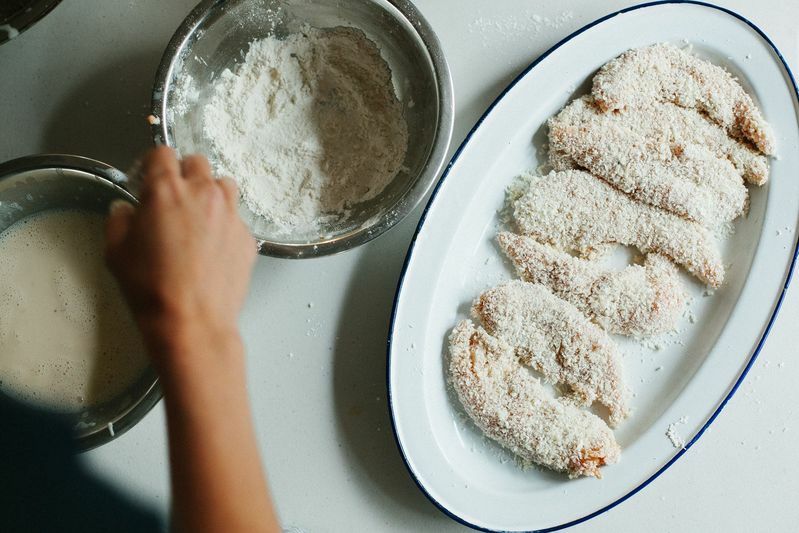 Taking a tip from my fried chicken recipe, I dry-brine the chicken tenders in a blend of salt, thyme, oregano, smoked paprika, garlic powder, and cayenne. 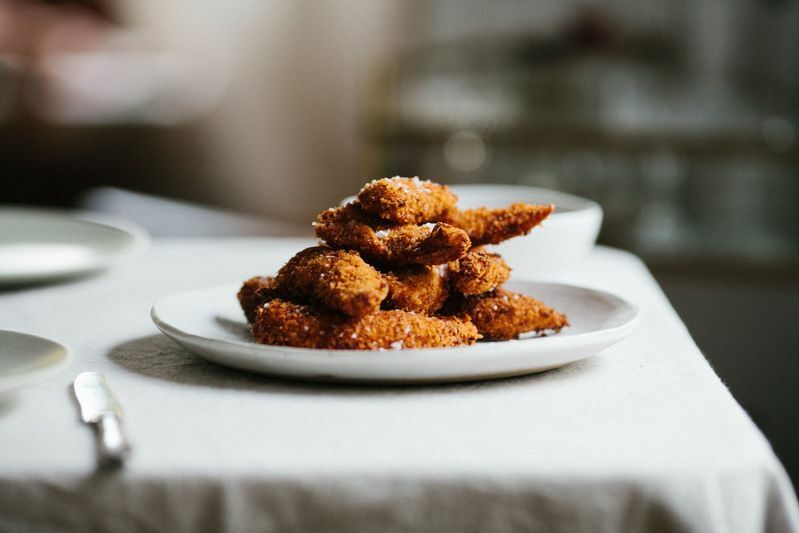 If your kids (or—if you are making these for yourself, which I highly recommend—if you) can handle a bit more heat than mine, make your cayenne pinch a hefty one or even add a few thinly sliced chilies to the mix. If you’ve got the time, let this sit in the fridge overnight so the salt and spices can really tuck into the chicken. An hour or so is fine, too.